A very powerful piece of theatre in Hornchurch is throwing up a challenge to the audience and metering out some outstanding acting. Bernard Pomerance’s The Elephant Man, tells the true story of Joseph (John) Merrick, who became severely disfigured as he grew to the extent that people recoiled in horror at the sight of him and dubbed him the Elephant Man. Merrick died at the age of 27 in 1890, and in this short time brought out the worst and the best in those who met him. John Hurt and Anthony Hopkins starred in an emotionally charged film, released in 1980, which set the seal on Merrick’s remarkable story of how he, and the public, overcame the revulsion of his deformity and accepted the gentle inner man. It is a challenge of acceptance, and the Queen’s Cut to the Chase Company do a remarkable job in interpreting it. Overall he succeeded with only the brief blips as reality was turned to surrealism and in some cases lost the clarity, in particular the final scene where Merrick’s body appears to be surrealistically crucified. However, it was worth a try and on the understanding of not being able to please all, was worth doing. 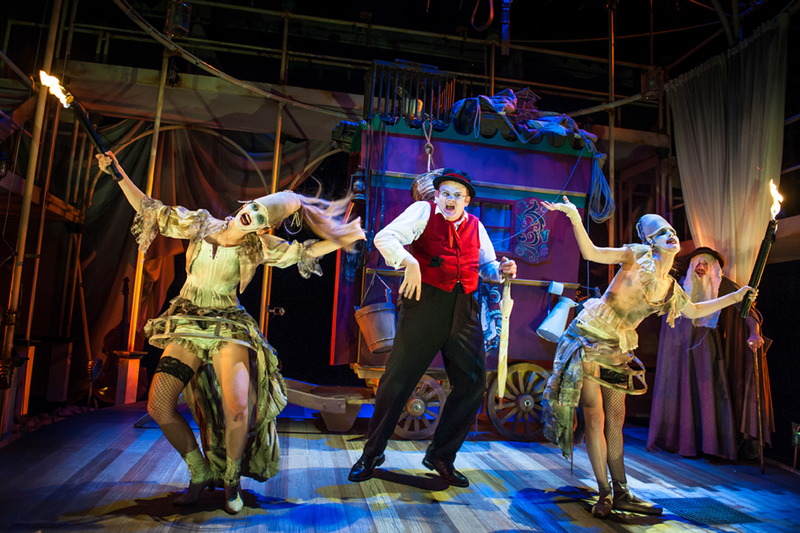 The result was a ‘money’s worth’ production that promoted an enlightened appreciation of repertory theatre. For me the essence was in the acting, and for that the ‘A’ list of actors were called in. James Earl Adair, Stuart Organ, Ellie Rose Boswell, Fred Broom, Joanna Hickman, Megan Leigh Mason and the remarkable Tom Cornish taking the title role. 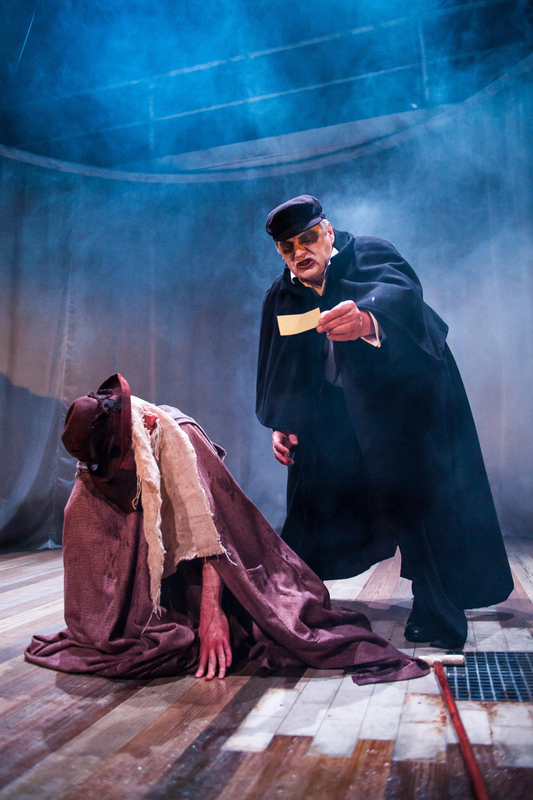 In a classic piece of the actors art, he appeared as a normally formed human being, but used the ultimate skill by transforming his stage presence into the horribly deformed Joseph Merrick. You saw the creature not the man, and brought out a superb parallel with the west end’s War Horse, where a two man operated collection of wood slats became the horse, Joey. 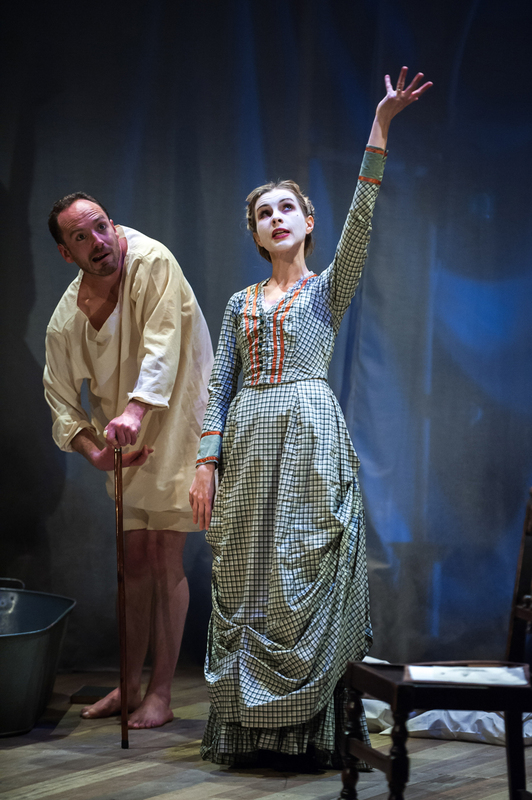 Mr Cornish should be proud of his performance as it seemed to come from the heart and not only held the audience in rapt attention, but conveyed the emotive element of total sympathy with the suffering of Merrick. It is a beautiful story of unthinkable suffering where small acts of kindness made his short life bearable and where warm understanding of others brought a glow of humanity felt by every member of the auditorium. The support of his fellow actors was of equal high quality forming the firm base that made the story so special. James Earl Adiar and Stuart Organ were major rocks. James as the cruel master of the Freak Show the tormented Merrick had to suffer in order to eat, and Stuart’s portrayal of the senior London Hospital Consultant who gave Merrick a space at the hospital he called home. Two examples of extremes in cruelty and kindness played to perfection. Fred Broom really shone as Dr Frederick Treves, the doctor who initially took Merrick under his care and was probably the vector for the happiness in Merrick’s life. Fred’s interpretation of the fine man was excellent. Totally believable with some fine acting conveying the pure humanity of the doctor. The feel good ambience of the play was given great added value by the acting skills of Ellie Rose Boswell, Joanna Hickman and Megan Leigh Mason. Joanna adding a haunting aspect by playing the cello during the performance. It was mellow and suited to the scenes bringing a great deal of enhancement and meaning as the actors words flowed gently on her soulful notes. Megan and Ellie Rose completed the trio with brilliant characterisations from performers in the Freak Show to nurses and Royalty showing consideration of Joseph Merrick. The Queen’s is apparently in a state of flux at the moment due to the general downturn in financial support. It is happening all over the world, and to survive there is a massive revival of promotion to encourage cash to flow again. The theatre is in a fortunate position in Havering with Council support from the very beginning of its existence, but even that has taken a knock. Having reported on the theatre for close on four decades through the good and bad times, the present situation it finds itself in is not new, and in the past self help and quality have sustained and guaranteed survival, for life without the Queen’s Theatre is unthinkable. With new people and ideas coming in, it should be an exciting time of innovation and progress, but is something all of us, need to work hard at in recapturing and sustaining the dream. 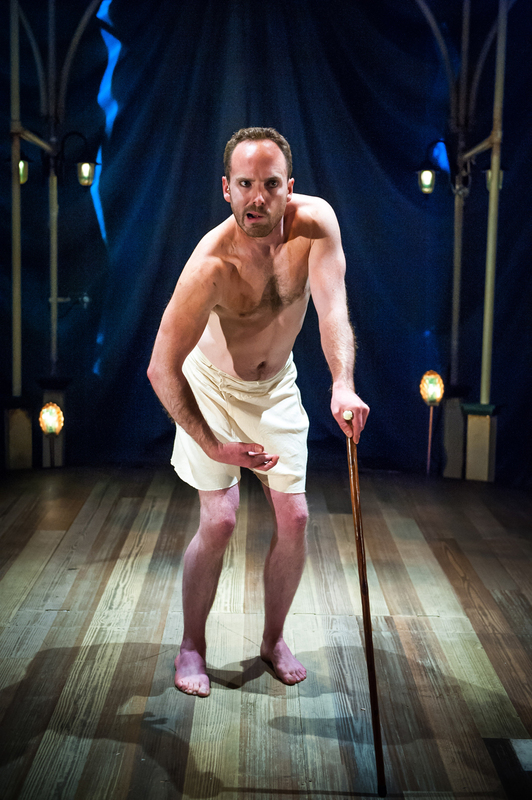 Elephant Man runs until May 9 with tickets available from the box office on 01708 443333.